Coming from the North East, the closest I can come to a beauty outlet is the CCO in York, however that's not really worth making the trip. 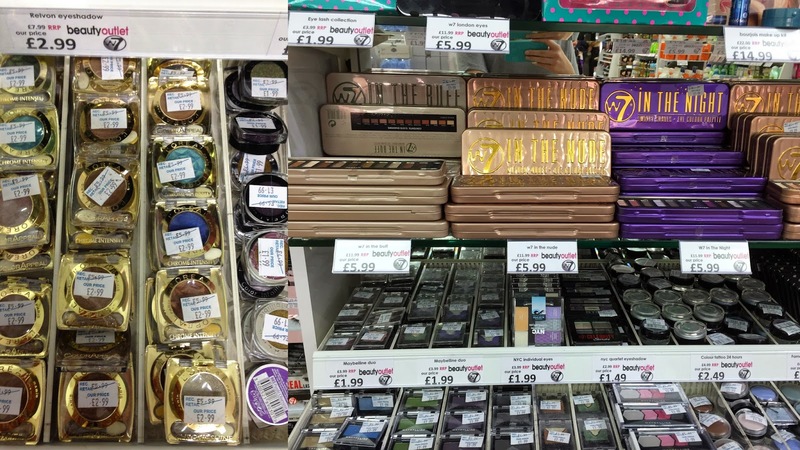 A few months ago, I was informed by one of the lasses at work that there was going to be a beauty outlet store opening up at Dalton Park - exciting times. The shop itself is huge and I mean huge and it's literally a make up addicts dream. However one thing which I was not impressed with was the fact that the shop has advertised themselves saying that they stock in addition to more affordable brands, high end brands. 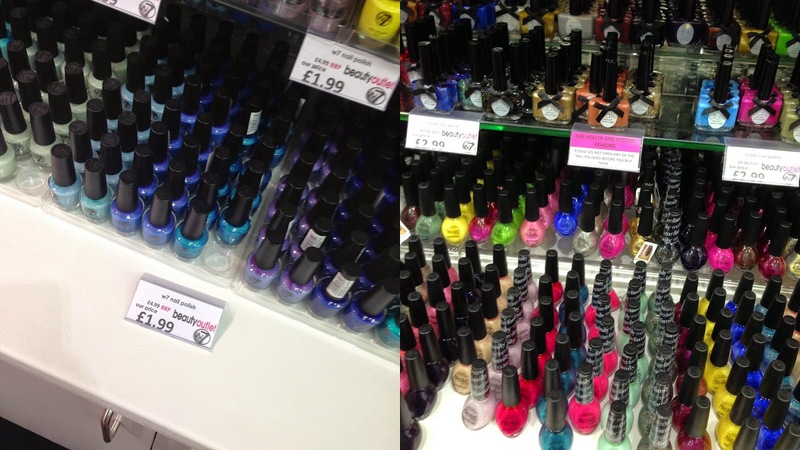 Personally the only higher drugstore brands I saw were L'Oreal, Ciate and OPI, The store is in fact a W7 outlet and you will be able to find the entire range - literally one wall was practically full of their entire range of nail polishes. The brand I was most excited about was Smooch - I've previously seen a lot of interest in this brand in the blogger community, then no-one hardly mentioned it. It would be rude not to have picked some things up from the store, however two of the things I've bought, I also went back to buy for Steph's birthday, so unfortunately I won't be able to post the haul until later on in the week after I've given her her presents. If you spend the time looking through the brands (quite a few are imported in, hence the cheaper price) you will find some bargains. However go into the store with an open mind - many of the foundations and concealers are darker shades, the same can be said for the powders. However I can guarantee that you will find yourself a bargain.